Detroit/Munich. 01/07/2007; The BMW Group increased its sales in 2006 by 3.5%. Throughout the world, 1,373,926 automobiles were delivered to customers (previous year: 1,327,992). 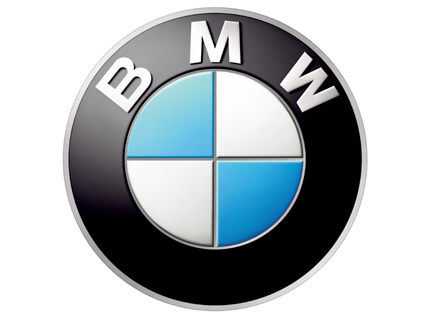 Sales of the BMW brand, at 1,185,049 vehicles, outstripped the previous year's figure (1,126,768) by 5.2%. Sales of the MINI brand fell by 6.2% to 188,072 deliveries (previous year: 200,428). As already stated, this is due to the building measures in the MINI plant in Oxford aimed at expanding production capacity and the changeover of production to the second generation of MINI. Rolls-Royce Motor Cars handed over 805 Phantoms to customers (previous year: 796/+1.1%). This means that, since the market launch of the Rolls-Royce brand under the umbrella of the BMW Group in 2003, sales have risen for the fourth time in a row. Dr. Norbert Reithofer, Chairman of the Board of Management of BMW AG, said today, at the BMW Group's press conference at the North American International Auto Show (NAIAS), "These outstanding sales results mean that each of our three brands – BMW, MINI and Rolls-Royce – is the market leader in its own segment." Dr. Reithofer was also positive about the prospects for BMW Group sales in the future. "We want to continue the BMW Group's success story in 2007. That is to say, we intend to achieve new sales records for every brand." The top selling BMW Group model series by far is still the BMW 3 Series, in its four variants – sedan, touring, coupe and convertible. In the year under review, sales of the BMW 3 Series rose by 17.1% to 508,498 units (previous year: 434,342). This means that this best-seller accounts for 43% of sales of the BMW brand. Second place, in terms of volume, is taken by the BMW 5 Series, with an increase in sales to 232,162 automobiles (previous year:228,389/+1.7%). The 1 Series comes in third place, with 151,914 deliveries to customers (previous year: 149,493/+1.6%), followed by the BMW X3 with 113,997 deliveries (previous year: 110,719/+3.0%). Because of the end of the model cycle of the first generation, sales of the BMW X5 in 2006 fell by 25.8% to 75,356 units (previous year: 101,537). In the years before this, the BMW X5 and the X3 had each come right at the top of their segment. The BMW 7 Series once again confirmed its strong position in the upper automobile category, with 50,199 cars delivered (previous year: 50,062/+0.3%). With sales of 30,974 vehicles (previous year: 28,874), the Z4 is 7.3% over the level of the previous year. 21,942 of the BMW 6 Series were delivered to customers (previous year: 23,340/-6.0%). In a monthly comparison, sales of the BMW brand in December 2006 shot up by 7.8% compared with the same month last year to reach 114,995 cars delivered (previous year: 106,675). New MINI causes sales to leap in December For the reasons described above, the lack of availability of the MINI caused a fall in sales seen over the year. The second generation of the MINI has been available in European markets since November 18, 2006. With the ramping up of production, it will now be much easier to meet the continuing high level of demand for the new MINI too. This has already led to a 39.6% increase in sales to 13,991 units (previous year: 10,020). 2006 was also a great year for BMW motorcycles, with sales reaching 100,064 vehicles. 2.7% more BMW motorcycles were delivered to customers than in the previous year (97,474). In December, 7,419 BMW motorcycles were delivered to customers (previous year: 5,425/+36.8%).